Ximenes was the crossword pseudonym of Derrick Somerset Macnutt. He took over as crossword setter of the The Observer after the death of Edward Powys Mathers in 1939. Powys Mathers had chosen as his pseudonym the name Torquemada, a grand inquisitor of the Spanish Inquisition and Macnutt chose the name of Torquemada's successor as Grand Inquisitor, Ximenes. Derrick Macnutt was educated at Marlborough College and Jesus College, Cambridge where he took a double first in classics. 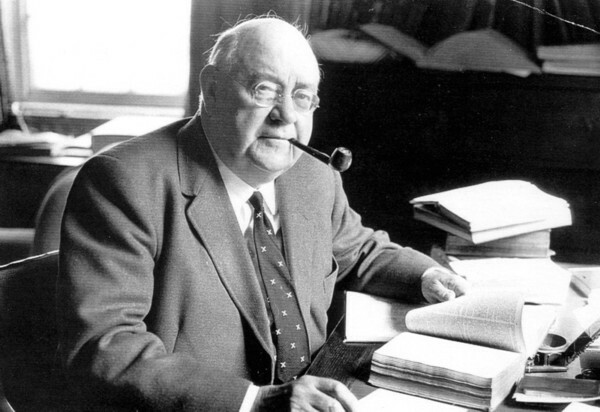 From 1928 to 1963 he was a Housemaster, and Head of Classics at Christ's Hospital near Horsham in West Sussex. He began his setting career emulating the style of Torquemada but was influenced by the ideas of Afrit (Alistair Ferguson Ritchie) who had introduced a more creative and inventive style to his Listener puzzles. He succeeded Torquemada in 1939 as a composer of crosswords in The Observer, and started the Ximenes series of puzzles in 1945. Ximenes felt that the earlier puzzles of Torquemada were unfair and he set his own standards which he explained in his book, Ximenes on the Art of the Crossword Puzzle, (Methuen 1961).He was to insist on symmetrical diagrams, a maximum number of unchecked letters and rigidly fair clues. Normal clues had to contain a definition and a subsidiary indication of the word. The Penguin Book of Ximenes Crossword Puzzles, published in 1972, contains 100 of his best puzzles. 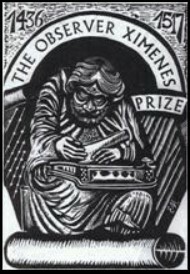 Ximenes also published puzzles in the Listener under the pseudonym of Tesremos, a reversal of his middle name. Derrick Macnutt's hobbies were golf and gardening. He was married and had two daughters and one son, six grand-children and two great grandsons. He lived near the school at Buckmans, Five Oaks, Billingshurst, Sussex. He established close contacts with many of his regular solvers. He was five times entertained by his regular solvers who organised dinners to celebrate puzzles No. 100, 250, 500, 750 and 1000. At the celebration of No. 1000 in 1968 nearly 400 solvers were present. These Ximeneans (as the regular solvers styled themselves) were proud to wear the Ximenes tie - all black with small white Xs and the ladies, of whom there were many, had a white silk scarf with black Xs. His puzzles were witty and inventive and it was he who instituted the standard variations of the Printer's Devilry clue, the Playfair code square, the Definition and Letter Mixture clue, the Misprint clue and many others. He had a huge number of enthusiastic solvers, including PG Wodehouse, Leonard Bernstein, Stephen Sondheim and, of course, Sir Jeremy Morse and DW Lewis, top prize winning solvers whose names Colin Dexter uses in his famous detective stories. He died in 1971 and his last puzzle (no. 1200) was published in 1972. He was succeeded by Azed (Jonathan Crowther) who maintains Ximenean standards every Sunday in The Observer. I am indebted to Mary Macnutt for vetting and amending this page. DH.